Biraj Bhatt’s another Bhojpuri movie was announced recently. 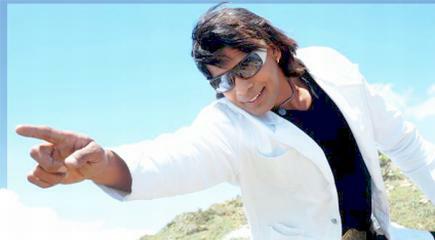 Produced Anil Acharekar is going to produce a a Bhojpuri film named "Dil Deewana". The movie will be directed by Bhagirathi Swain and will be a presentation of Adi Shakti Entertainment and Sri Ramwshwar Enterprises. The movie will feature Biraj Bhatt ((Viraj Bhatt, as known in Bhojpuri movies), Kunwar Vikrant, Kajal Raghani, Dharma, and Brijesh Tripathi. Dil Deewana’s music muhurt was organized in M4U Studio in Mumbai by recording a song on the voice of Udit Narayan Jha. The songs in the movie are written by Vinay Bihari , who is also the music director and story-screenplay-dialogue writer. The cameraman of the movie is Ashok Rav. ee film kab awat ba ho biraj bhaiya.